This is the quintessential summer camp experience: at overnight camp, your child will learn how to build a campfire, tell ghost stories and fall asleep to the sound of frogs creaking in the nearby water. And he or she will gather - and help create - memories to last a lifetime. Overnight camps for kids can extend anywhere from a few days to several weeks. An overnight camp offers kids the benefit of 24 hours of the companionship of their peers. There are overnight camps that are single gender and some that are coed. Most often, this type of camp will be away from cities, and traditionally somewhere in the woods. These are also popularly called sleepaway camps. Of course, not all overnight camps are the same. Specific specialized kids' camps immerse your child in a number of various activities, creating a learning experience they will remember for a long time to come. Overnight sports camps offer an integrated experience for kids and teens looking for an edge. Specifically, there are a number of hockey schools where boys and girls get a full week of daily practice, training and skills development from NHL professionals past and present. Soccer schools are just one more type of sports camp that offers this dedicated week-long experience. Special needs camps also offer the sleepaway summer camp experience to kids. These are helpful for parents who get a break from caregiving, but of course, disabled children and teens themselves benefit deeply. Making new friends among other children with similar challenges, as well as getting close to camp counselors and others provides these children with an outlet they will cherish. Of course, the best benefit of these camps is that kids have a riot! Numerous education camps are also overnight. Camps with certain academic programming offer the intensive weeklong (or longer) experience as the best way to foment deep learning. Kids with an advanced enthusiasm for things like programming, robotics, science, debate, or social justice love the way these camps give them an educational edge. International travel camps and programs might epitomize overnight camps' facility to deepen personal development. There's no better way for children to gain perspective on city living and on their own home life than a week or a few days at overnight camp. Typically, these are most well suited to older children and teens, but at any age, homesickness and kidsickness is worth it. Check through our complete list of overnight camps above. 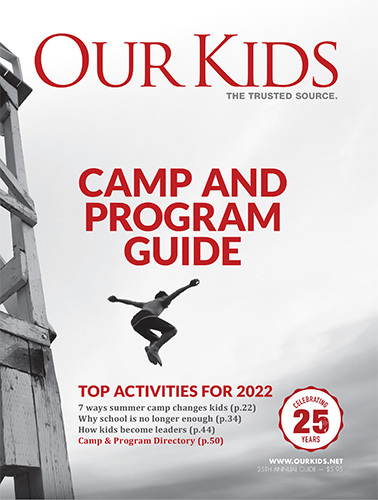 An article from 2010 offers additional advice, anecdotes and information about overnight summer camps.